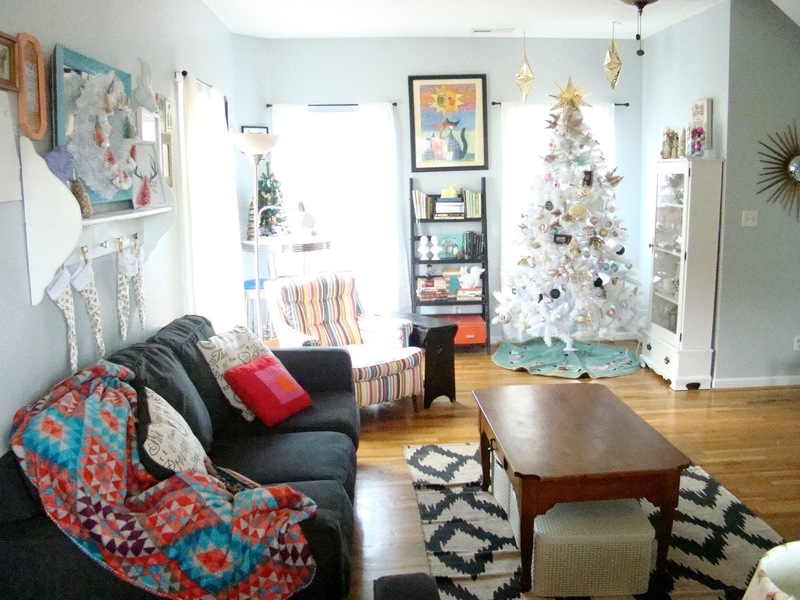 Y'all, I am finally showing you our Christmas Home! 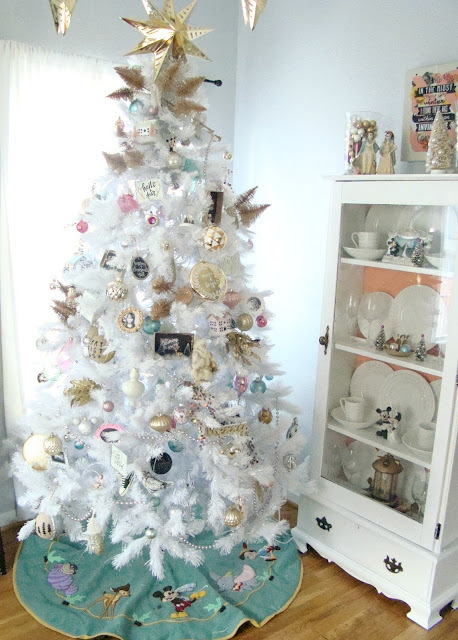 It has taken me too long because I had the brilliant idea to update and replace nearly every bauble and decoration we own. When Chad and I got married over eight years ago, my friends threw my a Christmas ornament shower, and all of our holiday decor came from those gifts, as well as a keepsake ornament from my grandmother every year. I cherish all these decorations, and I still have them! 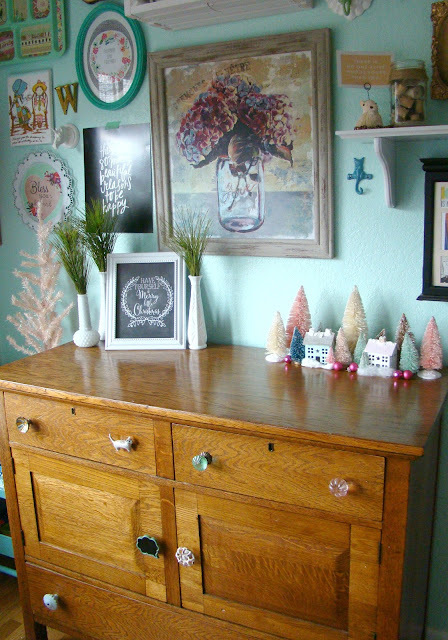 But just like our style and taste in our every day home decor has evolved over the last near decade (I can't believe I'm old enough to have been married for a NEAR DECADE), so has our Christmas style. And since we were replacing basically everything, I really wanted to keep things simple. It doesn't hurt that my girls are little! We are just not in a season of life that calls for elaborate decorations and multiple trees. But I can't wait for the day when I can deck every hall in my home from top to bottom! Before, much like our house, my Christmas tree had very brightly colored, whimsical ornaments in vibrant, saturated colors. This year, I was craving a more pastel color palette in what I'm referring to as "vintage-modern" style. I oohed and aahed over photos of vintage pink and gold ornaments on Pinterest, and I really struggled to find exactly what I wanted. Then Target came to my rescue! Target, you da real MVP. I found the paper star on top, and most of the basic glass ball ornaments at Target, as well as the gold-dipped feathers and other fun ornaments in gold and shades of pink and glass green. I'll be sharing several posts on the many DIY ornaments I've been working on for the last several weeks soon. I whipped up these smaller stockings to fit in this space in an afternoon. I used this tutorial and it was so simple! I'm super obsessed with bottle brush trees and their sweet, vintage vibe. I'll be sharing how I made the wreath soon also. 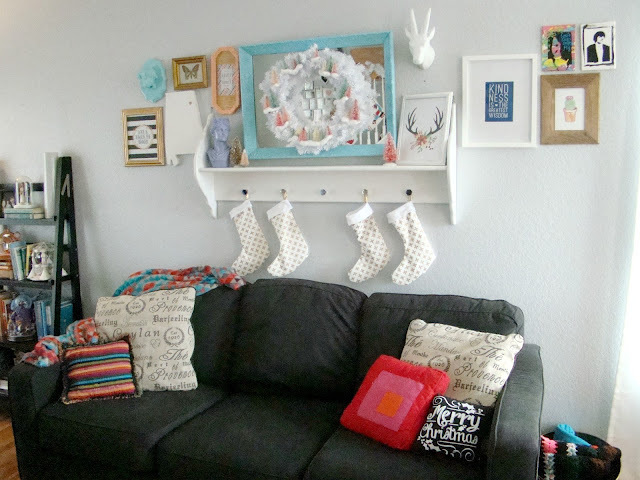 Confession of a lazy decorator: this is basically how our living room looks all the time. I added a cozy new throw, a tree, and various ball ornaments, and fa la la la la, it's Christmas! Here she is all lit up. 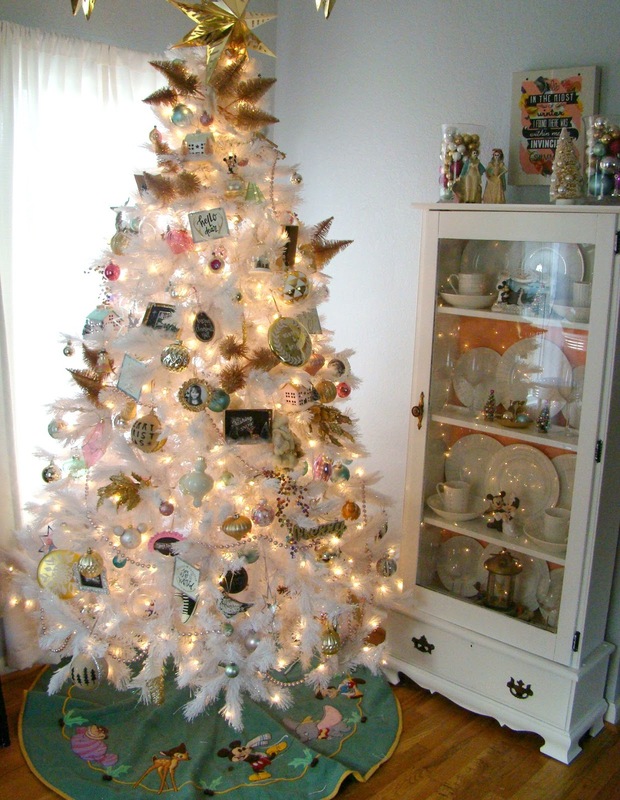 I think a white tree complements the vintage-modern style perfectly! In the kitchen, I did even less! I was feeling good that the floor is at least swept. I am truthfully in love with all of these bottle brush trees and glittery putz houses. Y'all know I love a miniature scene! I found the cardboard houses on Etsy here, then painted and glittered them. The trees came from Michaels, and I bleached and dyed them myself (post coming soon!). I added some pine sprigs I cut from the empty lot across from my house, and this free printable I found here. The little truck was a fun find. I scoured antique stores for an old toy truck, and I found this little guy. I tied one of my million bottle brush trees to him and called it a day! Right after I spent most of an afternoon searching for a little truck, I checked the dollhouse miniature aisle at Hobby Lobby and found this little red pickup. Of course I had to have him too! 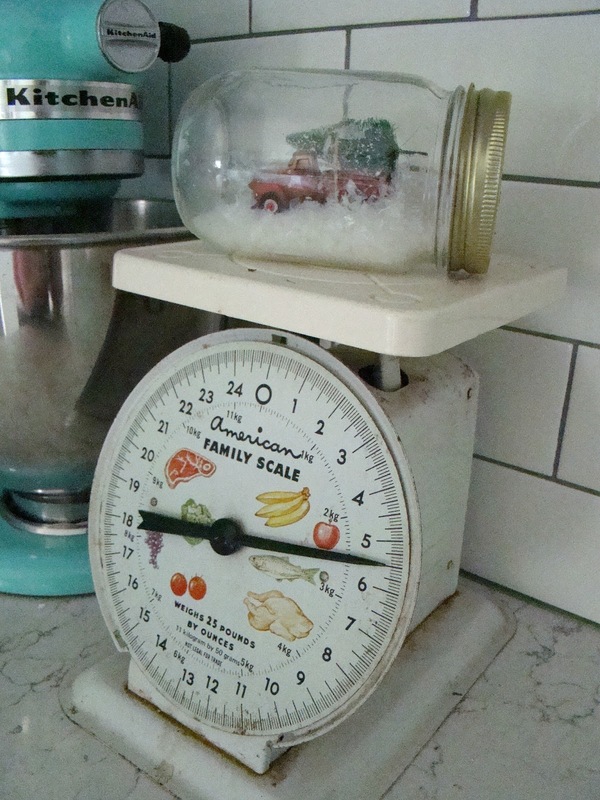 I made this mason jar snow globe, and I think it's super cute on top of my vintage scales. I'm not really a huge tablescape kind of girl. I mean, I want to be. When I grow up, I will create elaborate and fancy tablescapes for every holiday. But right now, this table is the workhorse of our house. 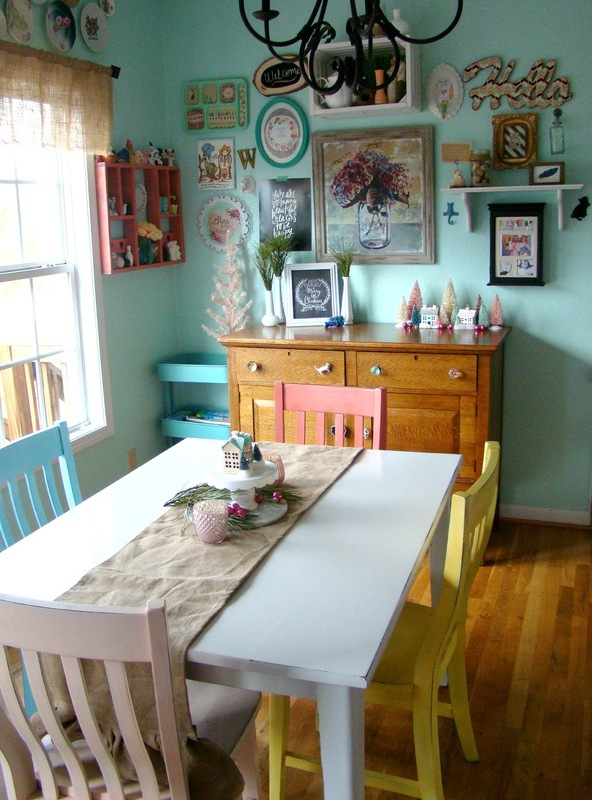 It's my sewing and crafting table, our dining table, and the largest shelf in the kitchen! As beautiful as it would be to set it with lovely plates and place settings, it would be so fake. Instead, I'll enjoy all the perfect Christmas tablescapes on Instagram, and keep it simple at home. The marble slice was a flea market find, and the cake plate came from the One Spot at Target. 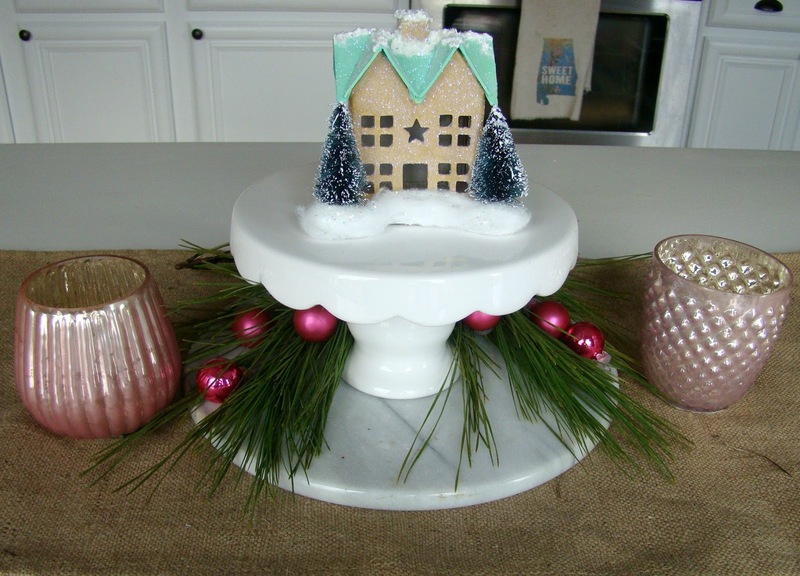 I added one of my DIY glitter putz houses, some mercury glass candle holders from World Market, and more free greenery from the yard. It's simple and so sweet! I wonder how long it will last before my three-year-old has it scattered?? Another confession: My house is so not clean. That is why most of these photos are strategically framed. The counter behind the photo above?? Covered in junk. And I have a few other corners decorated, but I didn't have time to get them looking fancy. Like I said, as I add to my updated collection of decor, I hope to one day have Christmas in every nook and cranny of our home! It's truly the most wonderful time of the year. 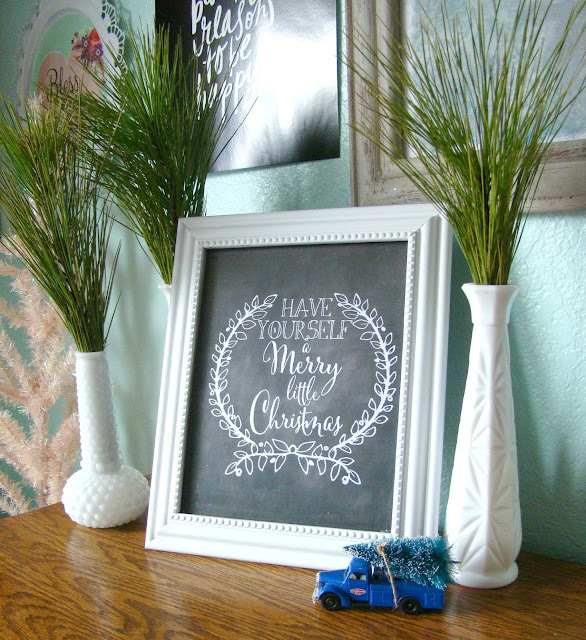 I hope you've enjoyed this little and simple tour of my new Christmas stuff. Please check back soon! In the next couple weeks, I'll be sharing my decorated front porch as well as LOTS of easy DIY ornaments. What decor trend are you obsessing over this year? Is anybody else a lazy decorator too?